Product #46734 | SKU 21337 | 0.0 (no ratings yet) Thanks for your rating! 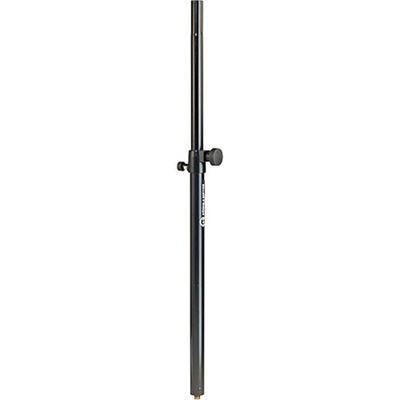 The black 21337 Distance Rod from K&M is a rod designed for connecting satellite systems. This unit features a spring-loaded locking screw with a safety bolt that allows for the length of the rod to be adjusted. It is constructed of steel and features a black finish. This model includes an M20 bolt to attach connector plate 24116 for a precise fit. Rod for Satellite Systems: Use this rod to connect satellite systems in your setup. Adjustable Length: The length of this rod can be adjusted to ensure it meets your exact needs.